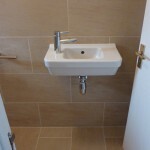 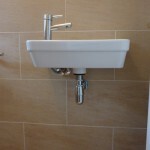 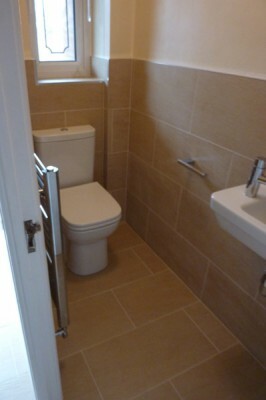 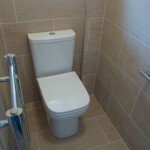 A contemporary cloakroom, half tiled with wall mounted small hand basin and chrome waste. 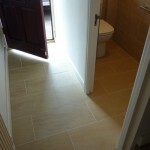 At the time of installing the cloakroom, we also tiled the entire hallway. 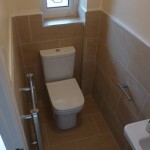 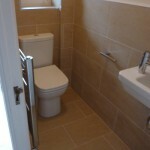 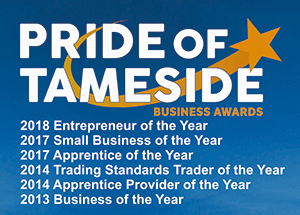 Bathroom, ensuite wetroom and fully tiled hallway.